Sheets of rain draped my house as I set about sorting a stack of old books. The family treasures frequently double as time capsules, their margin scribbles hinting at ancestors’ personalities and thoughts. Every so often a careful gleaning reveals tucked newspaper clippings, forgotten photographs and hidden notes. A Spanish American Life, my mother’s college reader, rewarded my page flipping with a postcard! So neat to read this little insights in to our family. 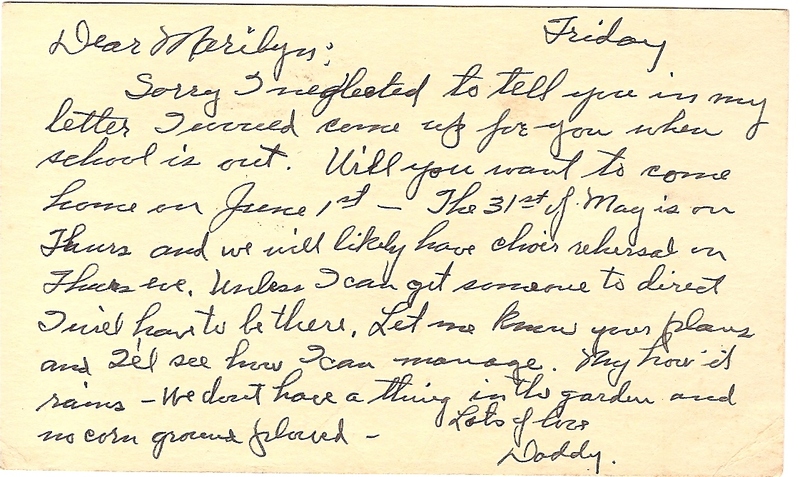 And to see it in someone’s own handwriting…all my children will have is email! I must get better at letter writing.